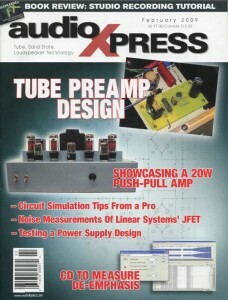 This project was published in AudioXpress in February 2009. They have been kind enough to allow me to put it up here. Jack Walton has done some lovely PCB designs- they can be found at his site, www.tech-diy.com.